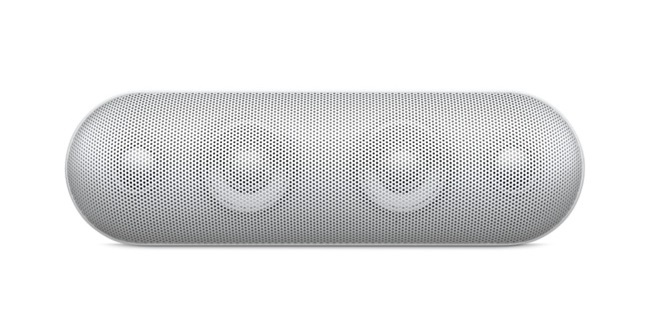 The new Beats Pill+ is now available to order at Apple’s official site. The new portable Bluetooth speaker brings great sound, and can last up to 12 hours of use, making it a great portable speaker for your iOS devices. The new Pill+ also works with an app that will be coming soon to both iOS devices and Android, which will let you control what music plays next as well as letting you change the sound preference. The new Pill+ also lets you pair two devices together for a stereo effect. For those wondering, the Pill+ also features a USB port with charging out for powering your handset on the go, which uses the speaker’s built-in battery. However, it still relies on Bluetooth (or line-in) and doesn’t support Airplay or Wi-Fi. 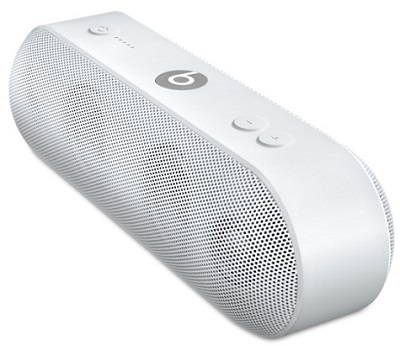 The new Beats Pill+ is available to order for $229 in either white or black from Apple’s main site. According to their site, free shipping promises Wednesday deliveries for those with paid options for shipping as soon as before noon tomorrow. In addition, the new speaker comes with a black 1.5m Beats-branded Lightning cable and a 12.5W power adapter for recharging.